Microsoft makes some great devices — the Surface Laptop, Surface Pro, and Surface Book being some of the prime examples of Microsoft’s hardware; and where there’s hardware, there’s hardware testing. 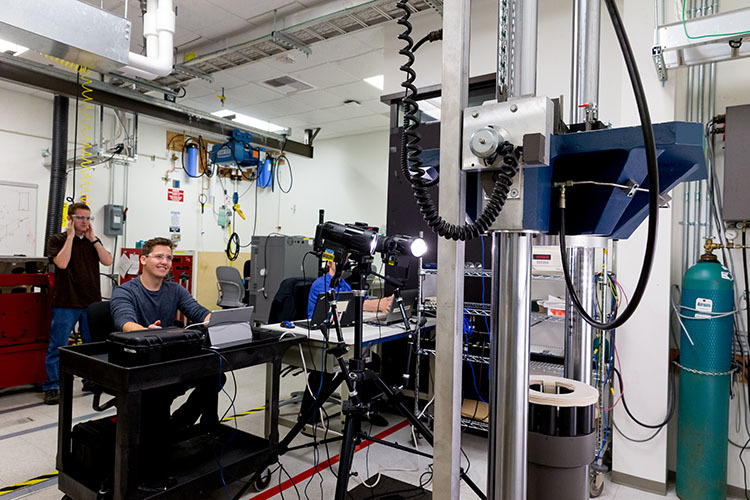 Microsoft recently published a blog post showing off its testing centre, where the company tests its hardware in what can only be called a series of torture tests that last anywhere from a couple of weeks to some months. 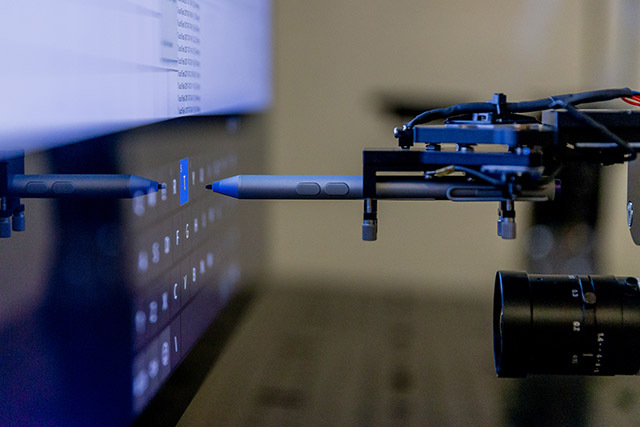 A Surface Pen taps every button on a screen. It will do this for a few weeks. For example, Surface Studios are put through testing for multiple things, including a test for durability under high temperatures. The machine is put into a chamber heated to 131 degrees Fahrenheit (that’s 55 degrees Celsius), along with relative humidity set to 85%. The poor machine has to endure this for hours at a time, after which engineers check it out for even the slightest of issues — bulging screens, hinges, hard disks and everything else. According to Krishna Darbha, Microsoft’s Senior Director of Devices’ Reliability, the tests’ measurements are precise to a fault. “It’s in microns,” he says. A change that’s not even visible to the naked eye. A Surface Pro goes through a salt corrosion test. In other chambers in the same building, Surface Pros go through corrosion tests. 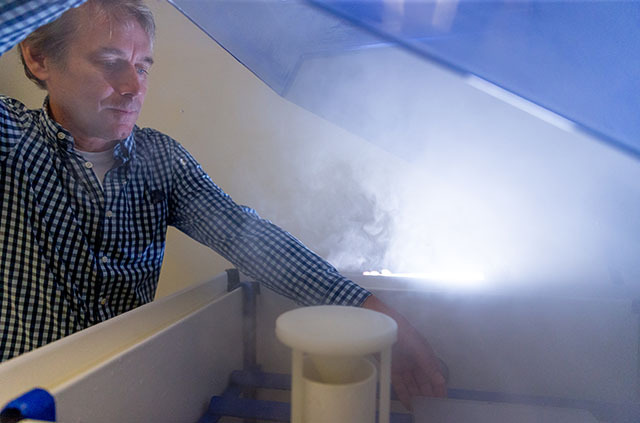 They’re put into a ‘salt-fog machine’, to emulate conditions aboard a ship in the Pacific Ocean, and are then checked for corrosion in every nook and cranny — reliable devices, after all, are what the company tries to put out, and what makes them one of the most widely used tools for researchers. The engineers also test devices for exposure to sunlight. To do this in a matter of weeks, they put the devices into a UV light chamber, where the devices are bathed in white light from Xenon bulbs. Jonathan Lehl, a test engineer says, “We’re taking sunlight and concentrating it, making it more intense to shrink down the time for your material to see that cumulative exposure.” The chambers are dangerous to enter into, so the team locks the doors. According to Lehl, if someone was to enter the room while the test was going on they’d get a sunburn within a minute. The company even buys dust, specifically for testing devices’ durability over time to dust exposure in both homes and offices. The team checks devices for how the fans work when there’s dust inside the laptop, clogging up the motherboard, and whether or not the device can still be cooled by the fans once the dust has inevitably settled inside. The company’s engineers and technicians work everyday, putting devices they’ve helped create, through a series of torturous tests to ensure that they’re ‘human proof’ for being put into the market. Their philosophy, and rightly so, is that “the system is only as strong as its weakest link,” and that’s what they set out to find, every day.